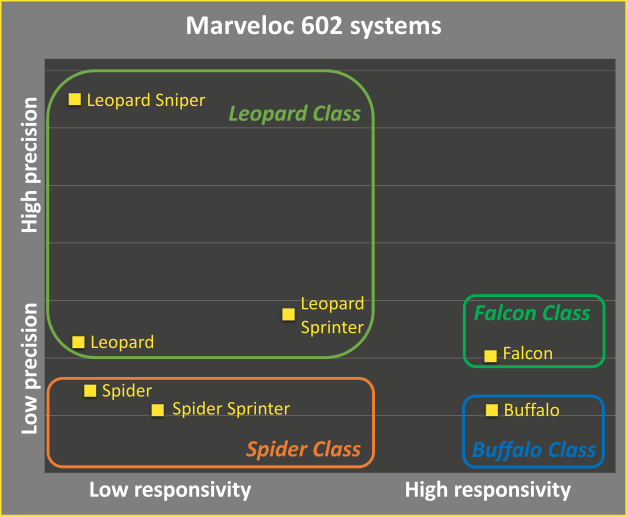 Marveloc 602 devices for thickness measurement, basis-weight measurement, and anomaly detection and much more. 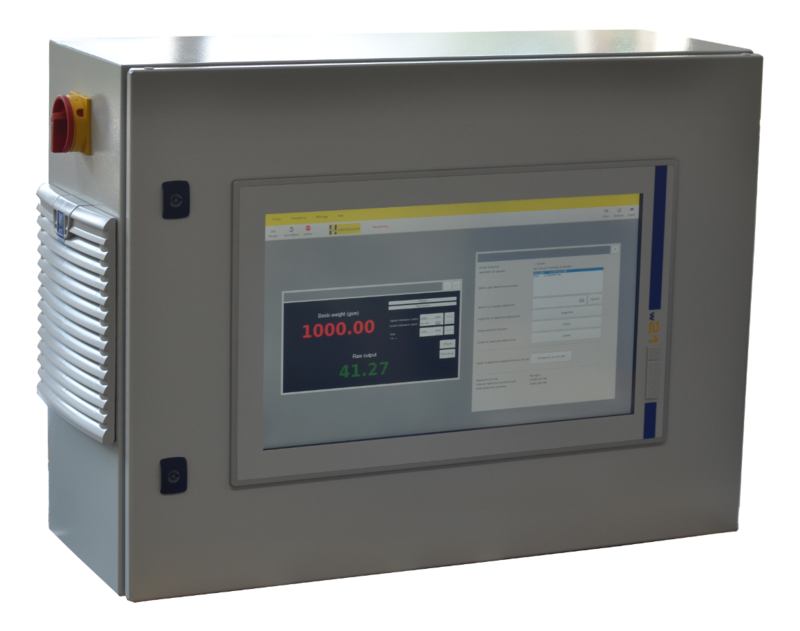 Hammer-IMS’s integrated turnkey measuring systems are built on M-Ray based Marveloc 602 measuring devices. This Marveloc 602 family of measuring units is also available as a separate OEM product, which is intended for sensor integrators. These OEM measuring products are basically one ore more M-Ray sensor-head pairs and a processing unit, but do not represent a fully integrated Hammer-IMS system that directly runs an end-user’s measuring task. Instead, they are available to developers, building their own applications around it, providing M-Ray solutions to many more industries than those Hammer-IMS can handle directly. In order to tackle each measurement task, Hammer-IMS offers a diversified product range. The product devices roughly differ in terms of measurement responsivity and precision, as illustrated by the graph. Whether you select a Marveloc 602 system standalone or as part of a CURTAIN or CUBE installation, our Connectivity 3.0 software controls the operation of all Marveloc 602 based measuring solutions. When you are in search for a turnkey industrial solution for inline quality control based on any of our Marveloc systems, check out the CURTAIN product page. These inline turnkey measuring solutions can either be a fixed measuring solution (entry-level CUBE system), or a scanning measuring solution (CURTAIN system with one or more heads). When you are a machine builder, we invite you to consult the M-Ray featured OEM Modules page.